VANCOUVER — Imagine you have never seen your own face. Now imagine you have never seen your family, your friends, trees, the sky … nothing. Now think of what you would do if that were true. Would you become removed or still be yourself? Would you walk away from everything or try to be the same as everyone else? Cole Fish is 7-years-old. His life has all the elements just described, and he chose to be himself. He chose to be excited about his life, and does it while bouncing off the walls with the energy you’d expect from any kid his age. When he was a mere three months old, Cole lost his vision. The cause was a rare genetic disorder know as Leber’s Congenital Amaurosis, or LCA. LCA is degenerative vision loss caused by protein film that grow on the rods and cones of the eyes, and prevents electrical activity being sent to the brain. In other words, Cole’s eyes are fully functional, there is just something blocking the information; like a plastic tab on a new battery. For much of these first years of his life, Cole and his family have dealt with many complications resulting from his LCA. Most notably among them was Cole’s trouble sleeping at night. It would happen at least three times a week, and sometimes every night, said Jamie Fish, Cole’s mother. So about a year ago, Cole’s parents started looking for a solution. 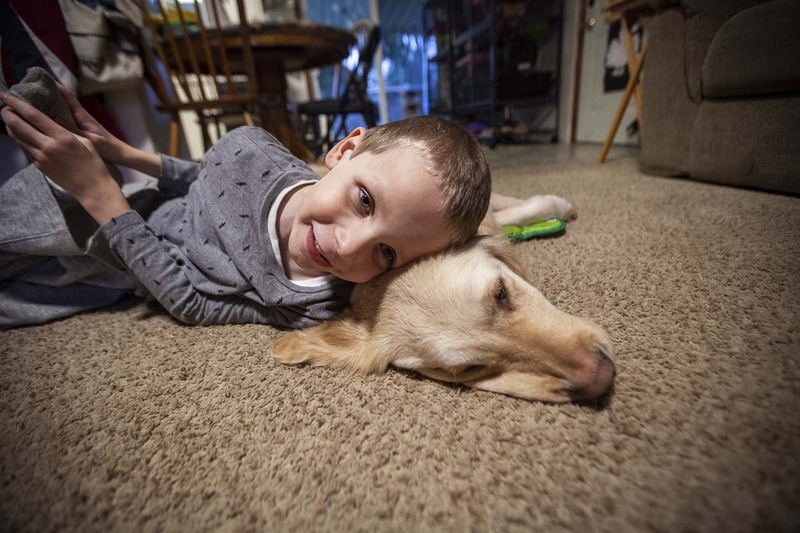 Through a chance encounter with a young girl who had received a companion dog from Guide Dogs for the Blind, (GDB), the Fish family decided to apply to GDB’s K9 Buddies program for Cole. GDB settled on Jolene. Though Cole prefers the name Jojo. Jojo is a nearly 3-year-old golden retriever who received half of the usual training for a professional guide dog before she had a career change due to some quirks. She was reassigned to the K9 Buddies list, and became Cole’s companion about one year ago. Jojo was raised, like all GDB dogs, by a volunteer puppy raiser. Tammy McCrary, out of California, raised Jojo, before she was transferred to the K9 Buddies program. It is not required, but typically recipients of professional guide dogs are at least 18. Subsequently, the K9 Buddies program is often a service to children under that age. 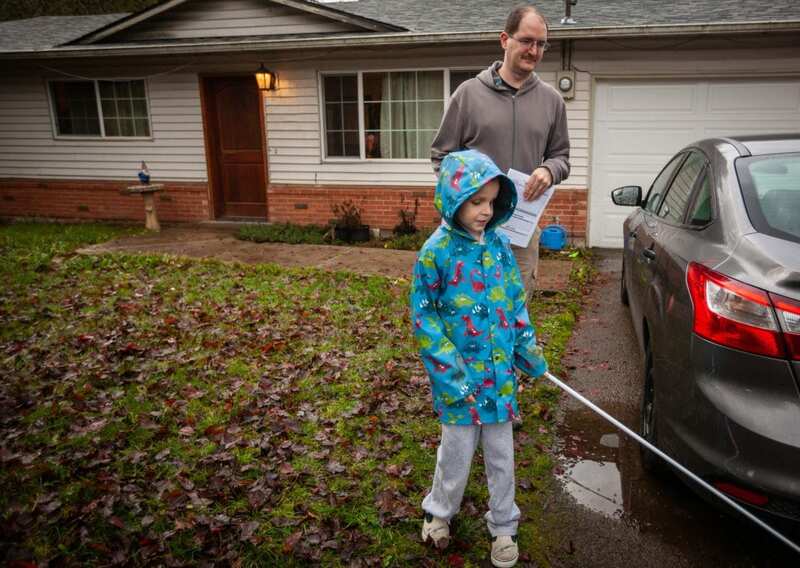 Cole also receives help from a teacher for the visually impaired, a braillist, and is mastering the skill of walking with a cane. He ranks these among some of the most invaluable resources to living with blindness. Galen and Jamie are optimistic about their sons future, and want him to make his own decisions about where he goes to school and what he does with his life. They said they feel much better about their situation after receiving Jolene. “Don’t be afraid to ask for help,” Jaime said. 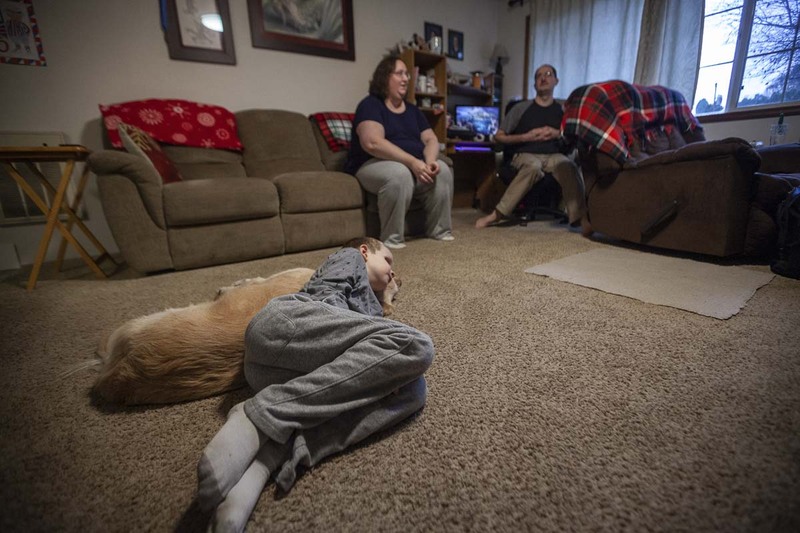 One day, either through new medical procedures or gene therapy, Cole may see again. Until then, Jojo will be there to be his best friend, and a part of the family. For more information on K9 Buddies and GDB, visit their website at guidedogs.com.